Surprised by the beer, Surprised by the music, surprised by the numbers and surprising party things. 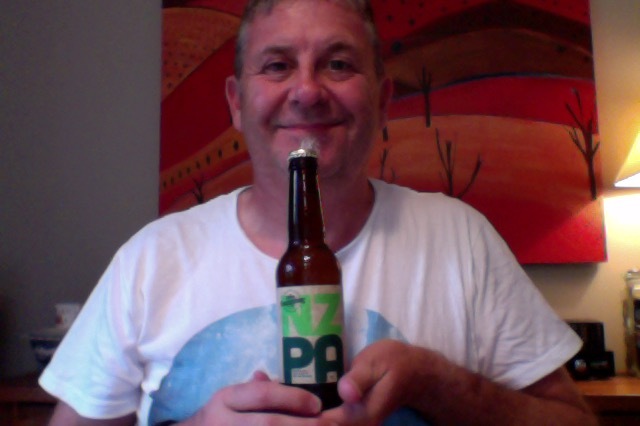 Hawkshead – NZPA – a beer from the UK from hops from here in NZ. 330ml bottle, they do it small over in the UK, this is 6% ABV, 180 calories, and this is 1.56 standard drink units in NZ. NZPA is brewed by Hawkshead in the style that is: American Pale Ale and they are in the mysterious sounding Kendal, England, where the only thing that comes to mind is Kendal Mint cake. NZPA is a complex, strong, modern pale ale. It is packed with wild fruit flavours and hoppy aromas. Made using four New Zealand hops: Green Bullet, Riwaka, Motueka & Nelson Sauvin. Matt, our Kiwi Head Brewer’s very own personal beer. Passion fruit or Mango on opening, the lip cap very firmly in place, I nearly broke a sweat getting it open, let the beer go little bottle, let it go. Very pale pour, much more than I was expecting, clear yellow almost. No head, I’m on a roll again. Aroma is really a fresh bouquet of things fruit, like passion fruit, mango. MrsPdubyah, in a rare moment, said that this smelt amazing. Then she tasted it and grimaced, not a rare thing, and complained that this had a ‘tang’ at the back, like ‘tea’, which is why she isn’t a professional. This is really sweet, or more correctly, but not sweet but ‘full’ of fruit or I though honey that gives it a really big body, and full mouthfeel, surprisingly nice. The hops, for there are some, are second fiddle in this, playing an admirable support, and as it warms the begin to be centre and front, which again, is nice as a journey. I find, for me, that this is a bit hard work, there is a lot going on in the glass, a lot of layers and competing things all clamouring for your palate attention, which is or isn’t a bad thing depending on what you want from a beer. It’s good, it’s different, and it’s from not around here. Welcome home, but we’re a little less shouty than you remember. I like the passion fruit thing going on, the aroma is nice, but i thought this was ‘hard’ drinking, not for any not pleasant things, but that I thought each mouth was like a hammer blow, and I wanted something more measured and longer in drinking, this is one of those short drinks, it all happens up front, then a gap, and then you are left with a lingering thing that makes you frown a bit, as if like you didn’t enjoy it, making you a bit gun-shy. Or simpler, I didn’t engage with the profile of this, and I ended up not enjoying drinking it for the overall feeling I got. Also I like The Nelson Sauvin hop, and drink a domestic beer that uses it, it really is nice, It might be wasted in this. The pdubyah-o-meter rates this as a 7 a of its things from the thing. It became hard work, and I didn’t look forward to the next sup, I wanted it to be over, I wanted to be happy and although I enjoyed this I didn’t end up loving it. If I was in the UK, where they presumably love it, I’d be a happy man. 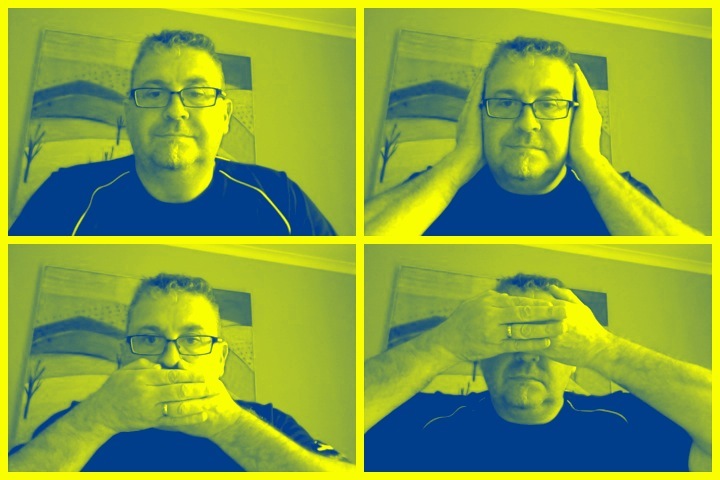 In NZ though I’d suggest that they calm down a bit. Am I enjoying it? I am, but it is complicated. Would I have another? This is something of an overload so I might not. Would I share with a friend on a porch and set the world to rights? I think as a beer showcase it is great, as a beer that you want to party with, no so much. MrsPdubyah was taken by “The Tallest Man on Earth”, Kristian Matsson, who is a singer-songwriter from Dalarna, Sweden. MrsPdubyah, as I said, is enjoying our early evening with this, which makes a change from some the feedback I get when it is beer and music hour. Give it a listen it is good folk music with great lyrics and musically very complete. This entry was posted on January 29, 2015 by Philip Walter in American Pale Ale, Beer, Beer of England, Beer Review, Craft Beer, Critic, Hawkshead and tagged Beer, craft beer, Hawkshead, Hawkshead - NZPA, New Zealand, Pale Ale.